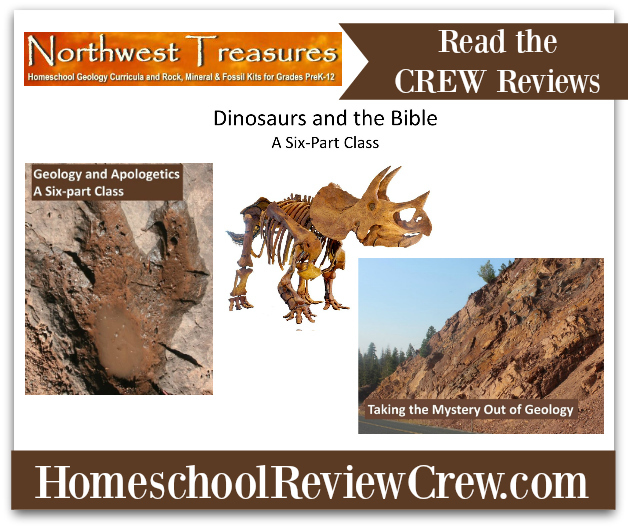 As regular readers of my blog know, EJ loves dinosaurs and likes to learn everything he can about them so when we were asked to review Taking the Mystery out of Geology and Dinosaurs and the Bible from Northwest Treasures we were happy to have a look. 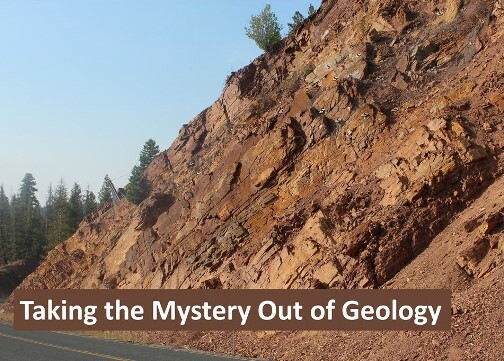 Starting off with the video, Taking the Mystery out of Geology, I loaded it into my Watch Later file in Vimeo so we could have access to it wherever we are, even without an Internet connection. This gives us a lot more freedom to do our work outdoors in the nice weather. This video outlines the basics of geology as one of the earth sciences. In it, Patrick Nurre explains how you can teach your children geology and the other earth sciences from a biblical perspective. In this way, (as he says) you are teaching them to love what God has made. Beginning with Lesson 1 we began watching the video together. 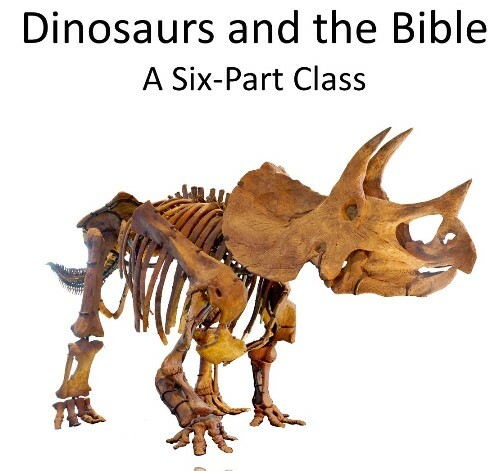 Unfortunately, EJ had a hard time staying focussed on the lesson as he felt there was just too much talk about atheists and not enough about dinosaurs. I explained this lesson was setting the table for future learning and pointed out that we don’t need to agree with these folks but it is important that we learn all different perspectives and opinions on things. We went back to the video and this time had the worksheet in front of us so EJ could listen for the answers. This helped things go much more smoothly and we learned about Megalosaurus, the Rock Cycle, and paleontology. We chose to use the worksheet orally with EJ narrating his responses. This allowed for some good discussion, particularly when it came to Darwin and how his view of life is different from Genesis. We were fortunate to visit Dinosaur National Monument two summers ago. This is the quarry of dinosaur fossils that Patrick refers to in the videos. We decided to continue with our oral worksheets, not waiting until the end of the lessons to find the answers but making sure to discuss them fully before moving on to the next lesson (as suggested in the videos). Throughout the lessons, Patrick went back and forth between explaining the secular view of evolution and the age of the earth and the biblical view. While he provided his thoughts, opinions, and proofs for his side of the argument, there was plenty of information provided in order that a family could do additional research, perhaps even set up a debate with older students. This would be a great way for them to learn the materials and gain a deeper understanding of it all. EJ was quite happy to hear Patrick mention places we have visited, including Dinosaur Nation Monument in Utah and Colorado, Devil’s Tower National Monument in Wyoming, the Gallatin National Forest in Montana and Yellowstone National Park. There is so much history to be seen and learned about in the western part of North America, it is quite amazing. We have been blessed to visit these fantastic places. Keeping our visits in mind (and getting out our photos) it was easy to understand what Patrick was talking about when he spoke of underground fissures, the flood, and the following ice age. We could clearly understand how this could have caused the extinction of a species that did not find the environment hospitable. Northwest Treasures has several other resources for teaching geography from a Biblical perspective including The Geology of Yellowstone – A Biblical Guide – the Kit. This longtime favorite can be ordered as the full kit (including rock samples) or individually. There are also activity books available for various ages that will allow your child to earn a certificate in Biblical Geography upon completion. They also have organized Field Trips to places like Yellowstone that sound very interesting. 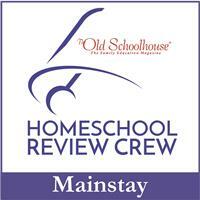 Their website is full of interesting things to help teach your kids or even to learn more about yourself. Overall, we liked the videos and worksheets although it would have been a struggle to have EJ write out all of his responses. 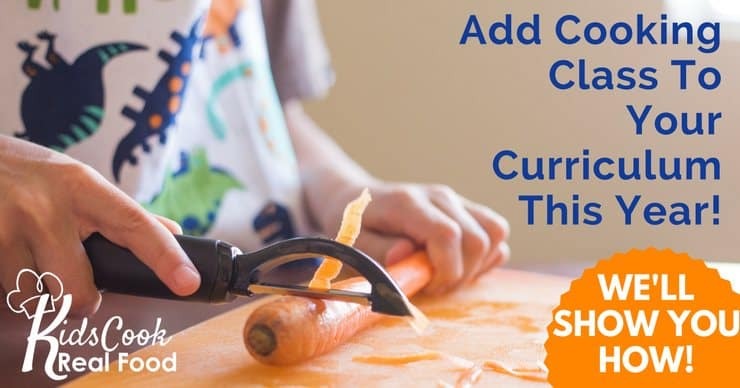 It was easy to change things up a bit for him so he could get the most out of the learning though so I would say it was a good fit for our family (with a bit of alteration). For more reviews of Northwest Treasures online courses, including Dinosaurs and the Bible, Geology and Apologetics, and Taking the Mystery out of Geology, please click the image below. You live near Tyrrell? We are so jealous! That is a fabulous museum! We are glad you enjoyed the lessons! Thank you Vicki. We love visiting there.